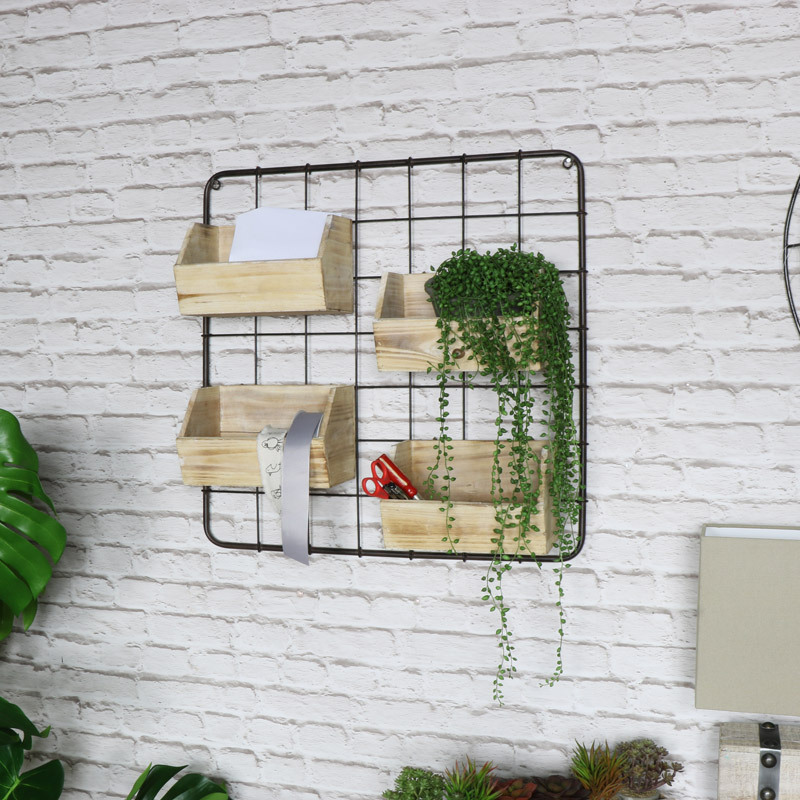 The metal frame with the 4 hanging storage boxes is perfect for keeping things organised. From separating spices in the kitchen, craft equipment in the work shop or bits and pieces in the bedroom. With an industrial look to this rustic storage unit its perfect for keeping clutter tidy. With spaces to adjust the wood shelves on this wall mounted storage unit, you can choose how big of a gap you wish to leave between the boxes. 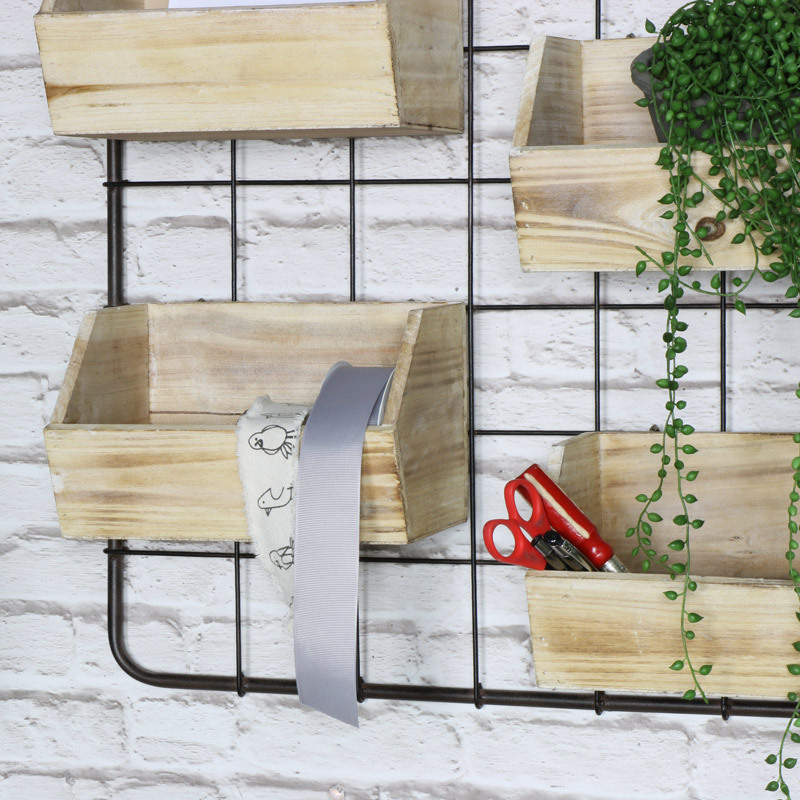 The metal frame with the 4 hanging storage boxes is perfect for keeping things organised. From separating spices in the kitchen, craft equipment in the work shop or bits and pieces in the bedroom. 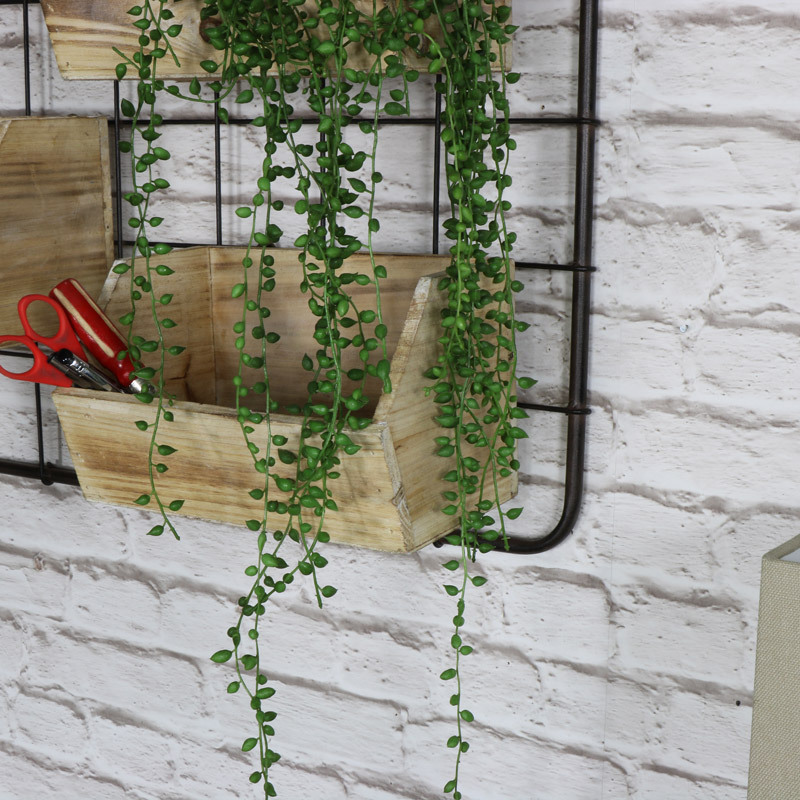 With an industrial look to this rustic storage unit its perfect for keeping clutter tidy. With spaces to adjust the wood shelves on this wall mounted storage unit, you can choose how big of a gap you wish to leave between the boxes. The wooden boxes have hooks attached to the back making it easy to remove or preposition the wooden boxes. Wall Mountable with 2 hooks on the rear however fittings are not included.